Targeting the life sciences, NBER formed a database of 12,935 scientists whose publication performance, patents, funding levels and peer pedigrees – i.e., membership in the National Academies of Science or the Institute of Medicine – satisfied baseline criteria. From there, NBER whittled the field down to 452 names. All were considered the rock stars of their generation, circa 1975-2003. More significantly, every one died before they retired. Which brings us to the latest paint-by-numbers whimsy from astronomer Seth Shostak, 72. Sensing a potential affront to mainstream groupthink with Hillary Clinton’s recent advocacy for transparent federal UFO documents, Shostak felt the need to translate her avowed interest into language Huffington Post readers could understand. 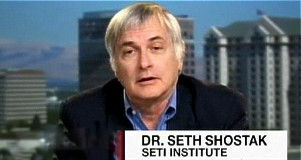 From his opening sentence – “If you’re worried about little gray guys with no hair and amygdaloid eyes, Hillary Clinton wants to help” – it’s eminently clear that the senior astronomer with the SETI Institute has disqualified himself from any meaningful discussion on The Great Taboo. Shostak does what he always does. He falls back on the veracity of the USAF’s dreadfully bollixed Project Blue Book, and he characterizes “those whose psyches are invested in the alien visitation story” as delusional thinkers. No allowance, of course, for people who make no such claims, people who think radar tracks of weird *&#! in the sky are interesting, and for people who wish that authority figures like Shostak would quit proselytizing and actually investigate events occurring in the 21st century. Or, failing that, at least quit misrepresenting things, like the British Ministry of Defence’s position on UFOs. Well, no, sorry man, you’re totally wrong on that first point. According to an MOD study declassified in 2006, referred to as Project Condign, the Brits are definitely interested in pursuing what it prefers to call Unidentified Aerial Phenomena. That’s the same term Clinton used last week in her Jimmy Kimmel interview. Struggling to make sense of the evidence they considered from 1997-2000, UK analysts agreed to describe UAP as “buoyant plasma formations.” Under the MoD’s definition, UAP is a meteorological phenomenon so bizarre, so intense, that it can subject observers to radiation exposure, hallucinations, “lost time” episodes, and even cause pilots to make evasive maneuvers. Whoa, hey, crazy “weather,” huh? With defense implications to boot. Mmmm . . . smells like $$$. Still, 10 years after the declassification of Condign, and no followup to speak of. That could mean one of two things: 1) Classified research is ongoing or, more likely, 2) a more informed generation of scientists is waiting for speed bumps like Shostak to get out of the way so a less doctrinaire era of inquiry can begin.